Before you commit your time and money to a competition-grade diet, you need to understand some important nutritional basics. Here are five questions you need to be able to answer! One of the most common questions that readers and fans ask me is, "What do you think about Diet X?" They're asking me because they don't know how to evaluate a diet on their own. The truth is that judging a diet is like grading an English essay: If you don't have a grasp of proper grammar and composition—not to mention the specific assignment the essay is trying to fulfill—you won't be able to spot errors or judge quality. This is why I advocate taking a more general approach to picking a diet—one where you start by learning and implementing nutritional principles before picking any particular candidate. Understanding standards that every nutrition plan must meet will enable you to evaluate specific diets to see if they're right for you. That may sound simple enough, but if you're coming from a background of disordered, dysfunctional eating, it'll be harder than you think. You'll be prone to falling in love with the first pretty face that comes along rather than going through the humiliation of taking a long, hard look at where you are now. After all, anything is better than nothing, right? Wrong. Don't just pick some system because it has a more-sound theoretical basis than your current nutritional miasma. Use these five criteria to size up your needs, or to analyze any diets you're interested in. If you can't answer any of the questions, you've got some work to do first. 1 / Does It Meet Your Caloric Needs? Any diet needs to have the right number of calories for your specific demands, and your needs can quickly change based on a number of factors, ranging from your goals, to your body composition, to the intensity of your training. Are you just starting out and trying to lose weight? Then you're going to need a diet that has you eating fewer calories than you're burning. Bulking? Then you need extra calories to build new muscle, but not so much that you gain excess fat. Cutting? You'll need a lower calorie diet that allows you to dial your body fat percentage into the ideal range. 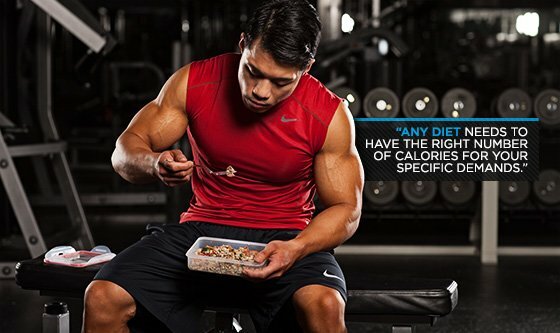 Your calorie needs also change depending on your training program. How often you work out, how intensely and how much cardio you do—all need to be considered. When those numbers go up and down, so do your caloric needs. Excess calories for your particular phase of training make you gain fat. A diet too low in calories slows or prevents muscle gain and can make you lose muscle. You'll also be starving, lethargic and mentally foggy. 2 / Does It Meet Your Macro Needs? 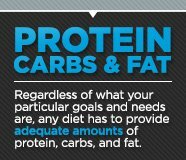 Regardless of what your particular goals and needs are, any diet has to provide adequate amounts of protein, carbs, and fat. If any of these are out of whack, you won't get your desired results and you'll probably get a few results you don't want. Too much protein for your goals—yes, there is such a thing as too much!—will wind up leaving some stored as fat. Too little protein means stalled gains and muscle loss. Too many carbs translates to fat gains; too few carbs leads to a lack in the energy to get through your training sessions. Too little fat and you won't have what you need to gain muscle, transport nutrients, or feel satiated. Too much fat is, well, too much fat—which can throw a wrench into your caloric machine, among other problems. Figure out what your protein, carb, and fat requirements are for your particular phase and goals, and you'll know quickly whether a diet is right for you. This applies to all manner of specialized diets, such as intermittent fasting, carb-cycling, and paleo/primal. 3 / Does It Meet Your Micronutritional Needs? It's easy to get so caught up in tracking your macros that you forget to make sure you get all of the micronutrients that you need. Vitamins, macrominerals, trace minerals, and aminos are just as essential as protein, carbs, and fat, and the consequences for neglecting them can be just as dire for your energy level and overall health. One easy way to spot a diet that doesn't give you enough micros is if it focuses almost entirely on one or two food groups. It's almost impossible to get a wide variety of nutrients without a wide variety of foods. Yes, you can use supplements and vitamins to try to meet some of your nutritional demands, particularly when you train heavy. But you should get most of your micros through whole foods. A varied diet is the simplest and cheapest way to do that. I should clarify what I mean by "not cutting out whole food groups," because some of you are probably thinking, "Wait a minute, Vince, in evaluating my macro needs, I know I need to watch my fruit intake because I'm trying to get my insulin in line," or "I'm cutting," or a number of other good reasons. Of course there are times when some food groups may need to be kept to a minimum or a select few foods in that category. When you watch your sugar intake, you are watching your fruit intake, but there are multiple ways to do it. You can eat less fruit; you can be selective and only eat low-glycemic fruits, such as strawberries; or you can only eat fruit at certain times of the day, such as in the morning or after a workout. You don't have to do it by forbidding fruit—or any other food group—altogether. Remember, a diet is right for you because it meets your specific needs right now. This can change—and probably should. If your goals never change, then you're obviously not accomplishing them. 4 / Does the Diet Match Your Nutritional Level? Nobody wants to acknowledge that they're a novice—particularly after they learned so much from a particularly charismatic infomercial or website. And of course I know that feeling of overwhelming enthusiasm and discovery that comes along with reading about a fantastic new diet. But, just like Olympic lifting, skiing, or horseback archery, eating conscientiously is a skill that needs to be learned and practiced. If you go over your head before you know the basics, you will either fall off the diet or shoot yourself in the foot. 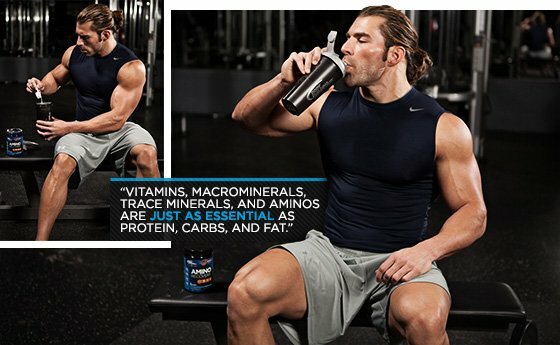 If you've been eating an unbalanced diet, you need to get your nutrition in line before you think about advanced techniques such as carb-cycling, carb-backloading or anything else that is explicitly structured or restrictive. Jumping right into specialized diets without analyzing and correcting your nutrition first is like putting your walls up before you build your foundation. You'll have a good-looking house for about five minutes before it topples over into the dirt. Think of it this way: millions of people around the world are highly deficient in key macro- or micro-areas right now, but they don't realize it. Changing schemes without addressing these weaknesses first won't make them feel or look better. It might make things worse. So start where you are and go from there. 5 / Is the Diet Sustainable? At the risk of sounding sarcastic, there isn't a diet on the planet that will work for you without you actually being on it. If you can't hang in there for the two weeks, two months, or entire year that you need to get results, you shouldn't even start. If a diet requires you to eat foods you can't stand, spend hours cooking when you can't boil water, or load up on obscure ingredients that you can't find or afford, it's not going to last. You wouldn't buy a car that was only going to run for a week, so why would you invest in a diet that lasts about the same time? A sustainable diet is one you can be sure to adhere to at least 90 percent of the time. Anything less than that, and you'll either ditch the diet, or end up hating it and not getting the results you're supposed to get. Some advanced diet methods have a learning curve, so the 90 percent rule has to have some wiggle room for mistakes and settling in. But as long as you know, understand, and remember these five criteria, you'll get ahead of that curve a whole lot sooner.